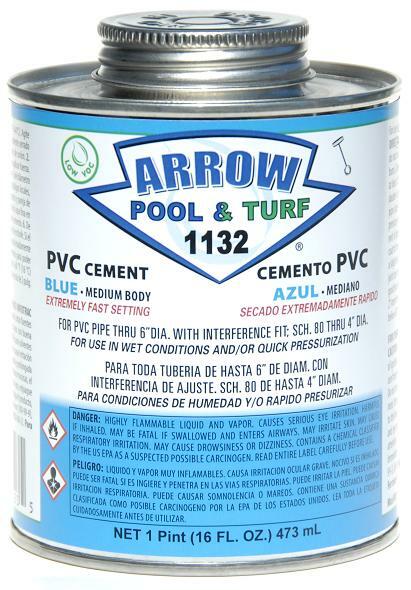 1132 is a medium bodied, EXTREMELY fast setting PVC cement for use on all schedules and classes of PVC pipe and fittings up to 6” diameter with interference fit; Schedule 80 through 4” diameter. Premium PVC cement specifically formulated to cure extremely fast in wet conditions and/or where quick pressurization of piping system is required. Suitable for use on rigid and flex PVC piping systems.